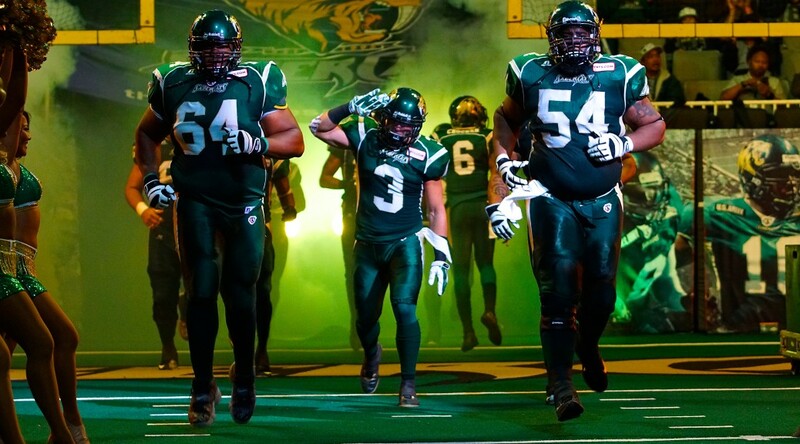 STOCKTON, CA. 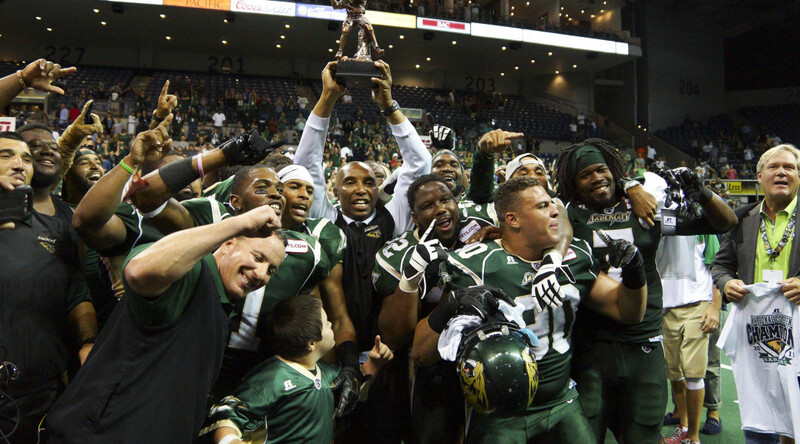 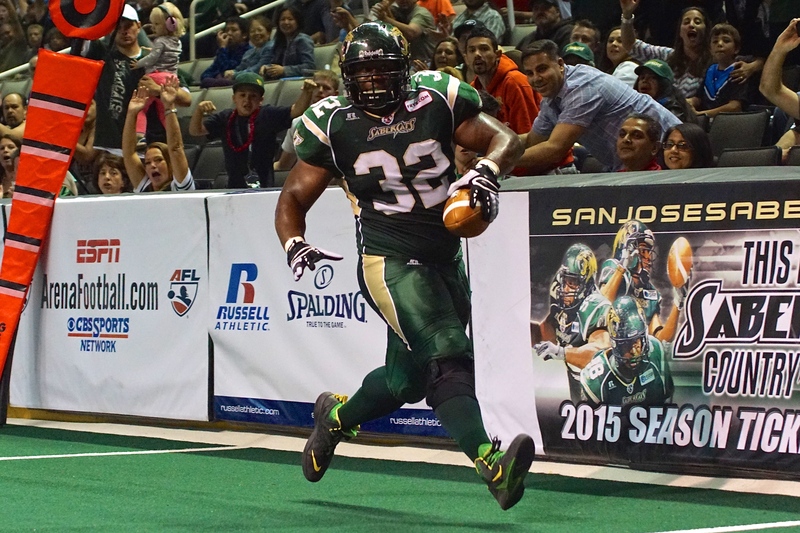 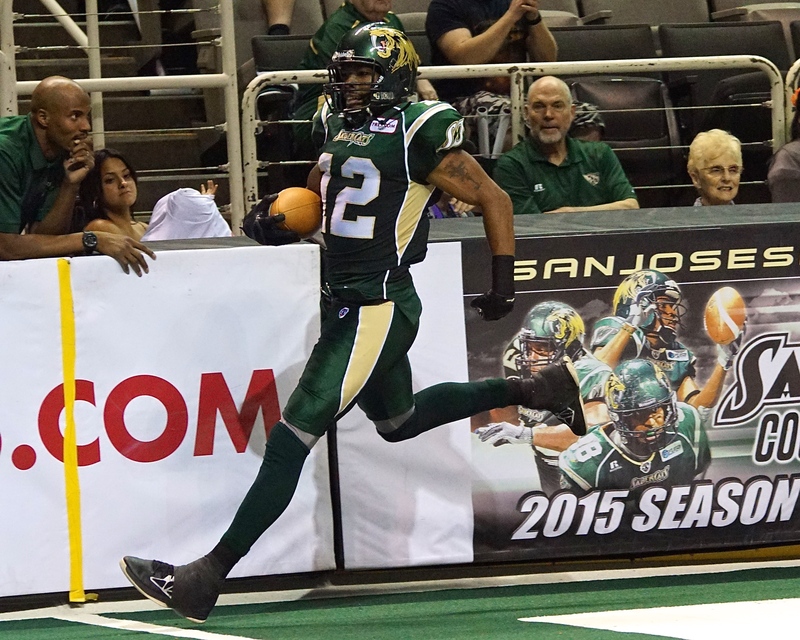 – The no.1 seed San Jose SaberCats advanced to their fifth Arena Bowl in team history by defeating the number two seed Arizona Ratters, 70-67 at the Stockton Arena in the National Conference Championship Game. 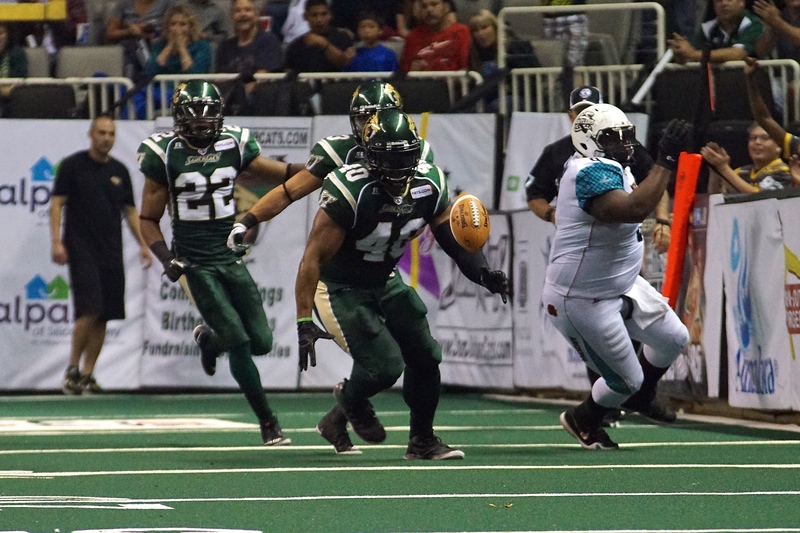 Trailing 60-55 with less than two minutes remaining, the SaberCats scored on a nine-yard pass from Quarterback Erik Meyer to Rich Ranglin; converting the two-point conversion, to give the SaberCats a 63-60 lead. 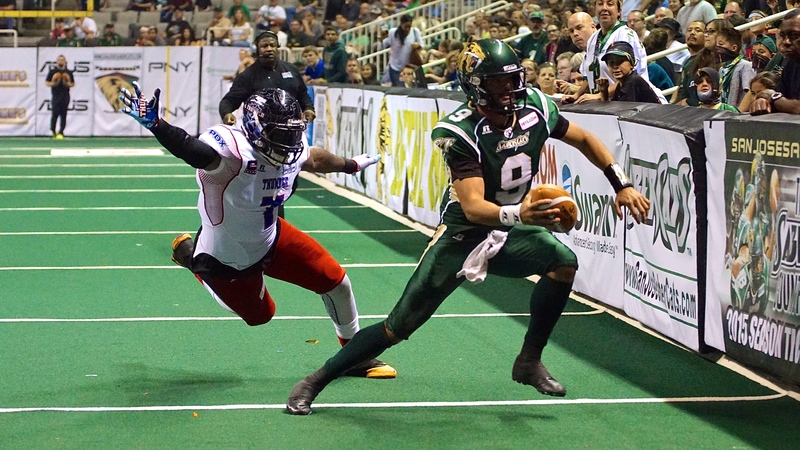 Arizona recovered the ensuing onside kick and regained the lead, 67-63 on an eight-yard pass from Nick Davila to Kerry Reed. 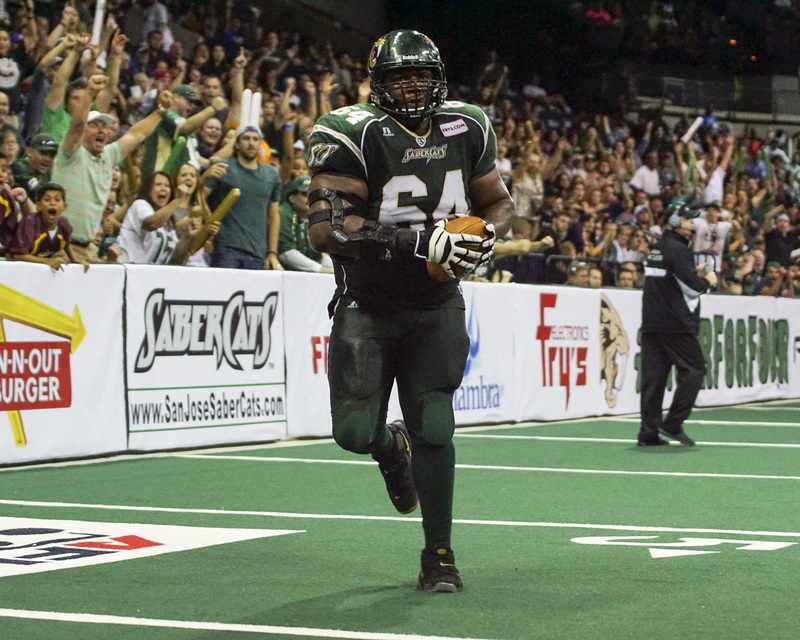 With 20 seconds remaining, the SaberCats took over for one final possession with a spot in Arena Bowl XXVIII on the line. 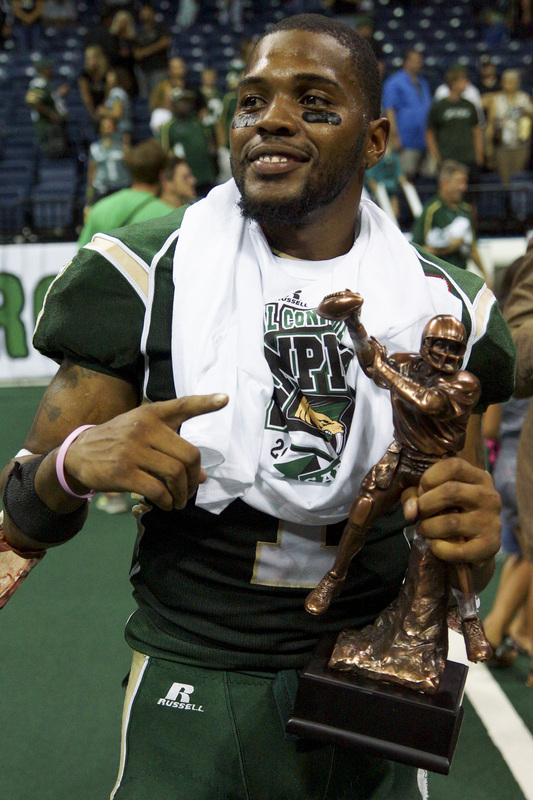 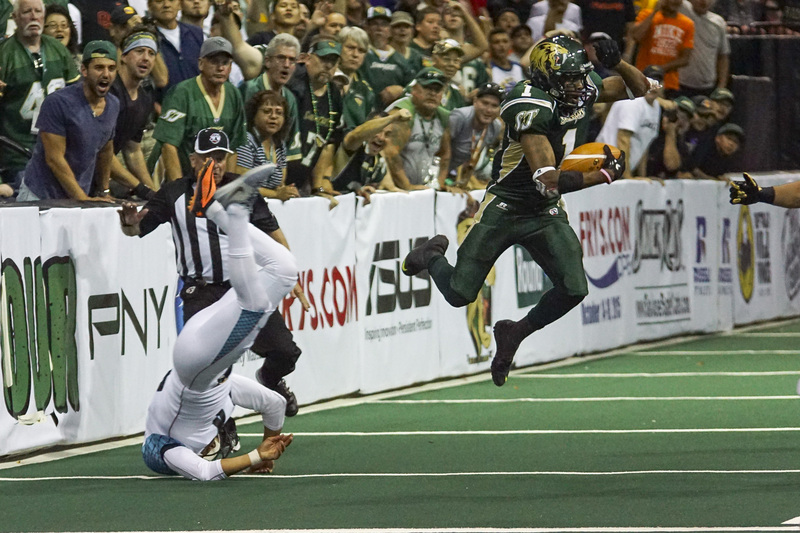 Reggie Gray, the Arena Football League leader in touchdowns and receptions this season, hauled in a six-yard pass from Meyer and reached out to break into the end zone. 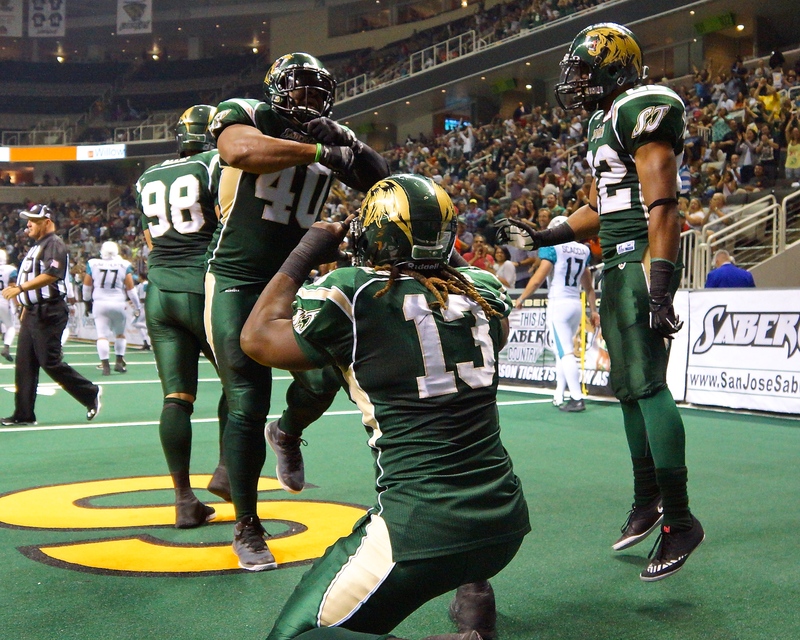 Gray’s second touchdown of the game gave the SaberCats a 67-70 lead with just eight seconds left. 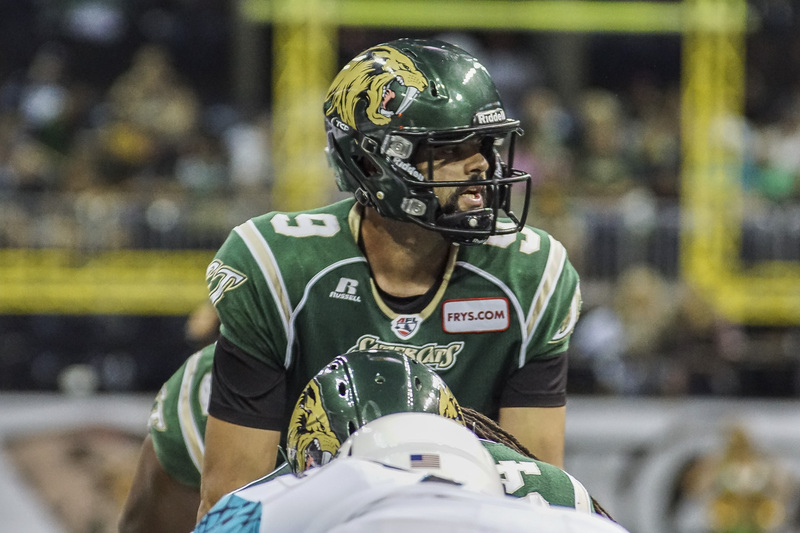 Arizona attempted a last second field goal but the kick from Alex Zendajas fell short, as Gray grabbed the kick in front of the nets, securing the win. 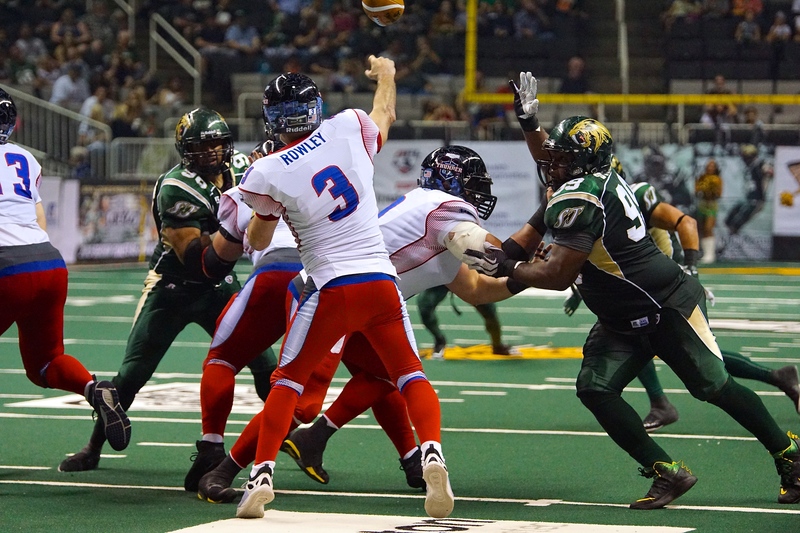 “In a game like this they never wavered and continued to fight and they got it done,” said Owner and Head Coach Darren Arbet, who celebrated the win in his hometown. 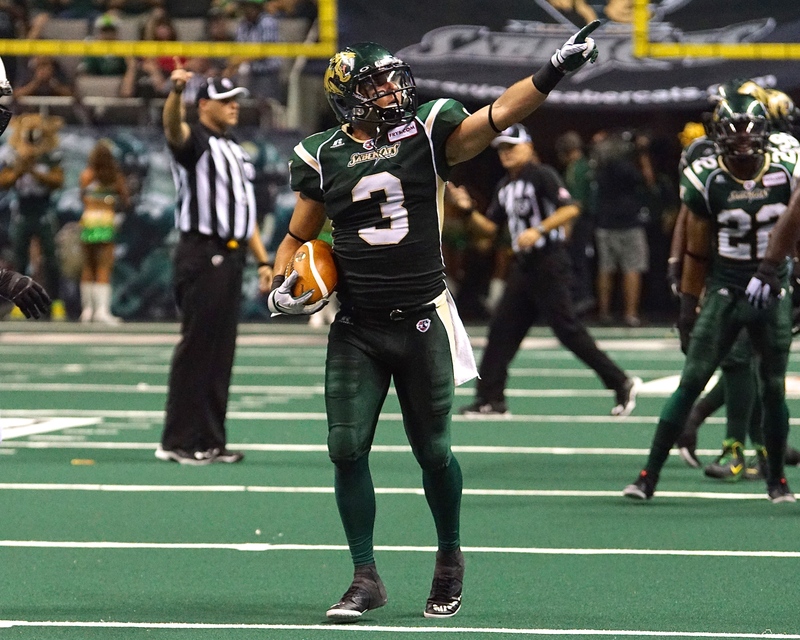 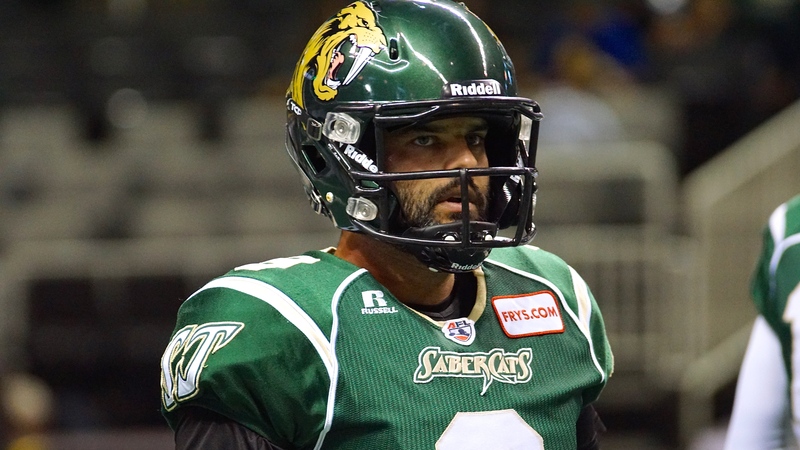 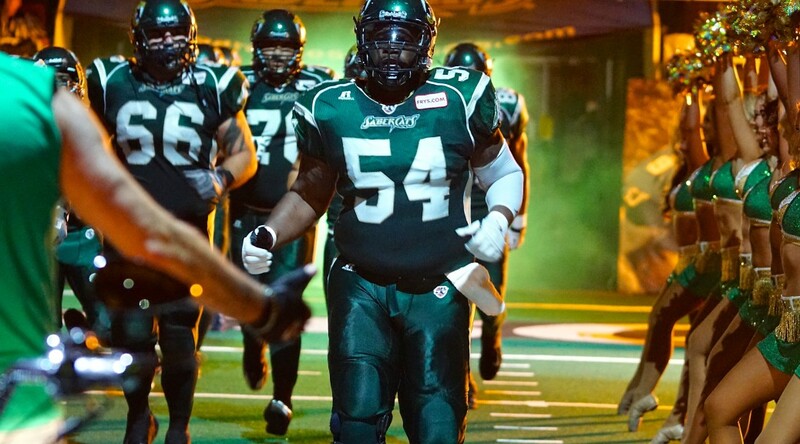 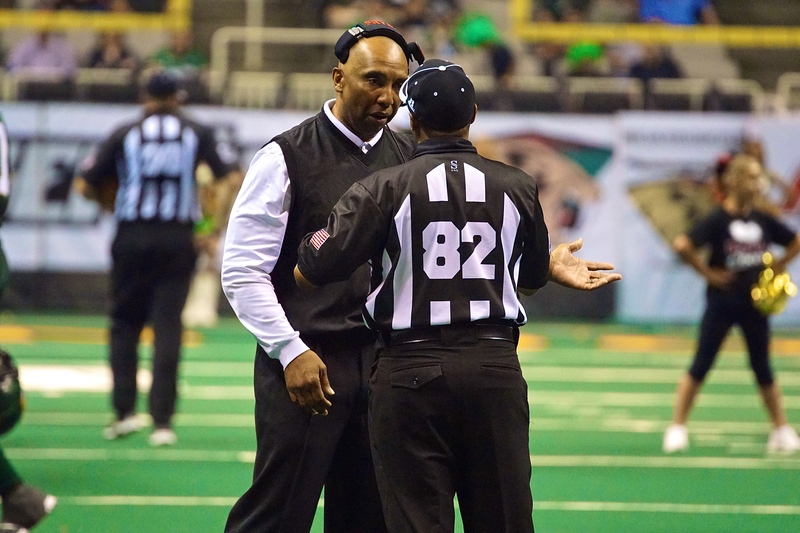 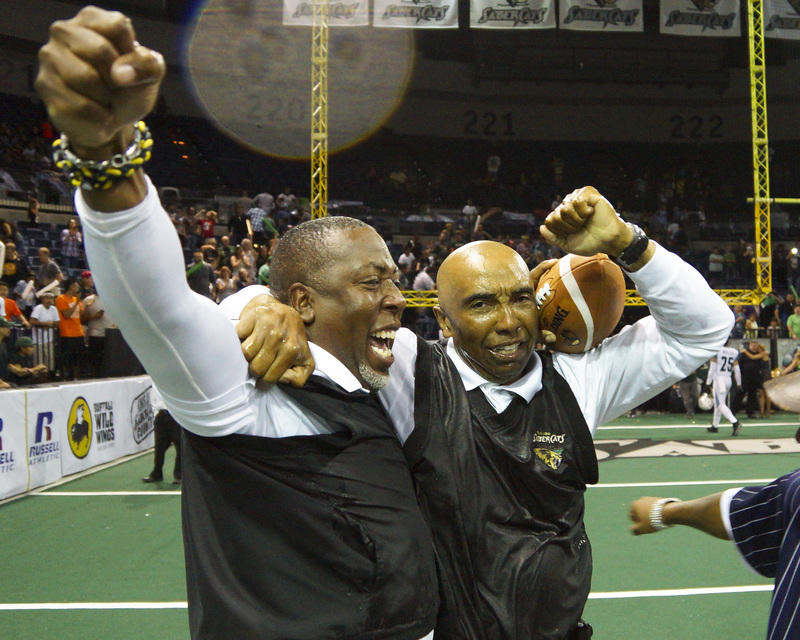 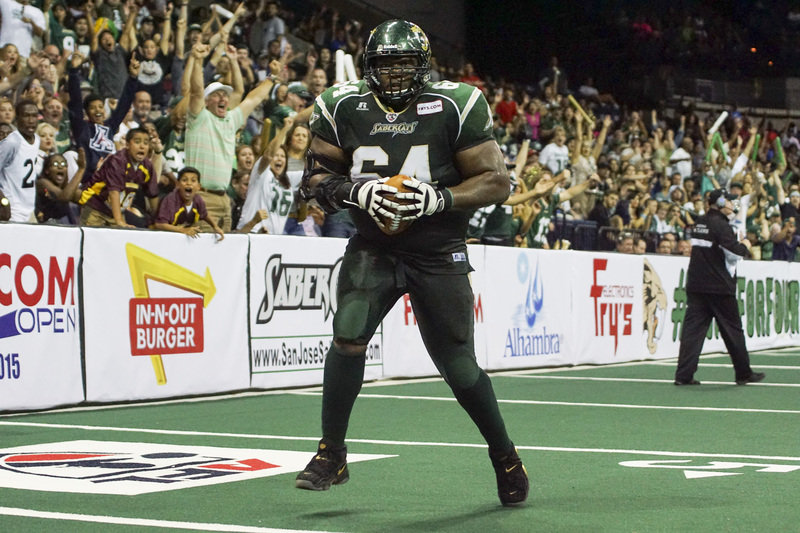 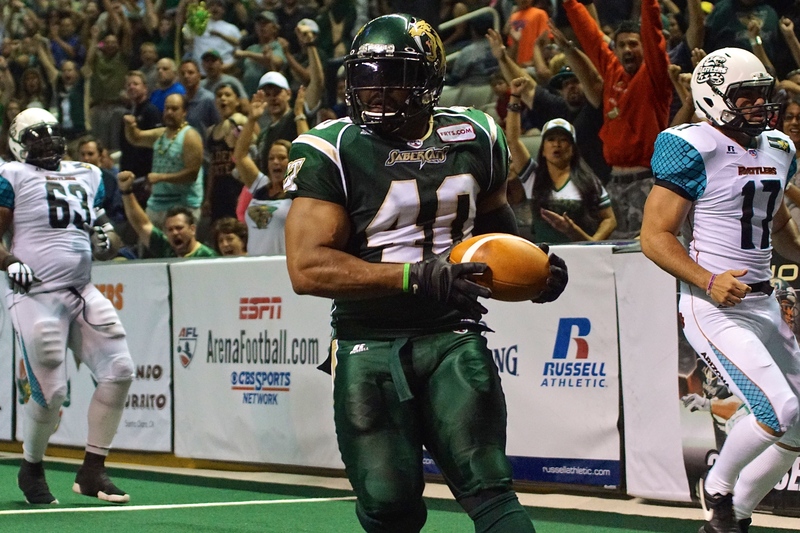 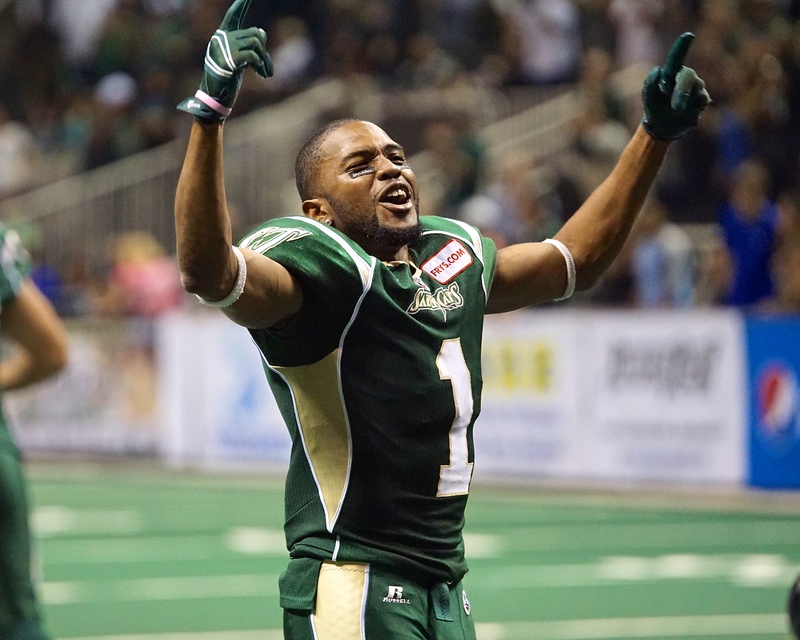 The past three seasons have ended for the SaberCats with a playoff loss to the Rattlers; however, the 2015 SaberCats debunked that streak, reaching the Arena Bowl for the first time since 2008 and sweeping the three-game series with the Rattlers this season. 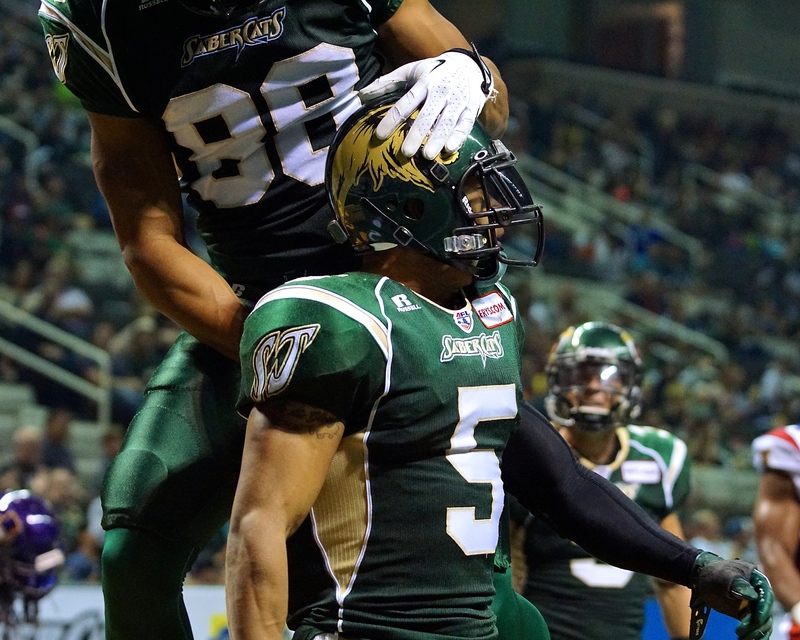 board with a 14-yard touchdown from Davila to Rod Windsor. 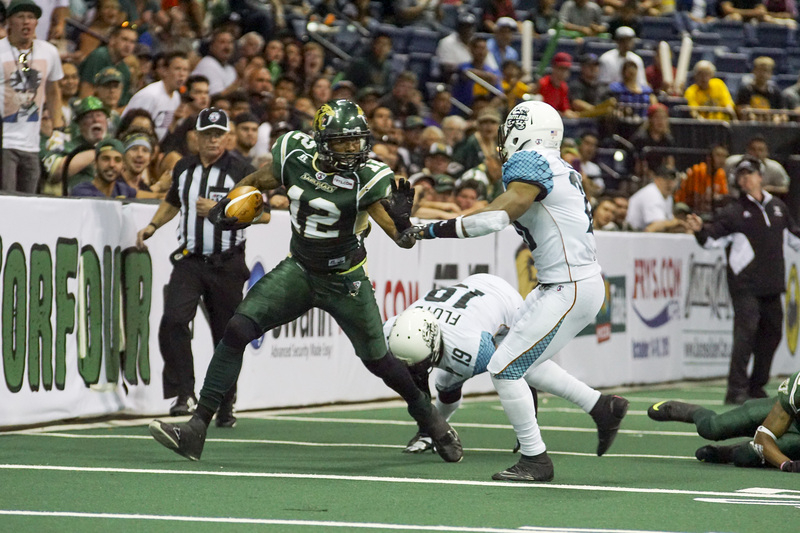 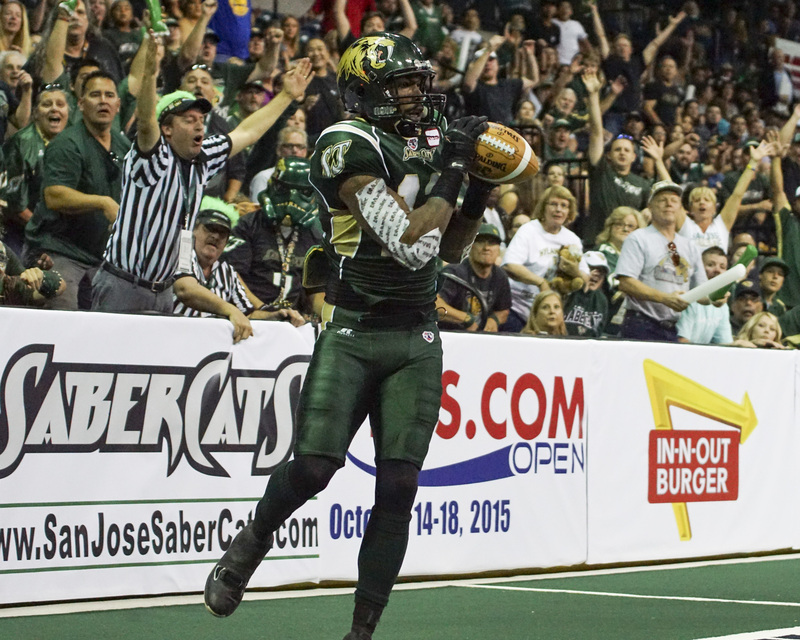 Answering in true championship fashion, the SaberCats evened the score at 7-7, when receiver Darius Reynolds got behind the defense and Meyer found him for the 42-yard touchdown bomb. 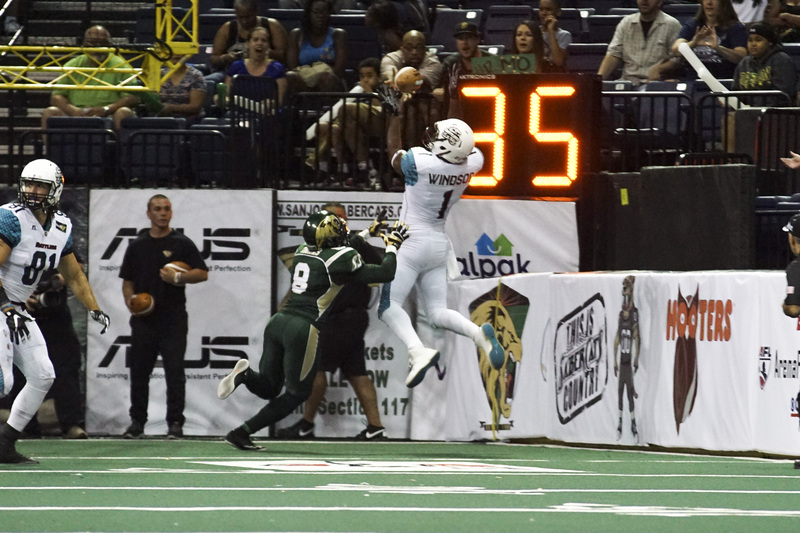 Meyer completed touchdown passes to three different receivers in the first half, including two with Reynolds, who finished with three receptions for 104 yards and three touchdowns. 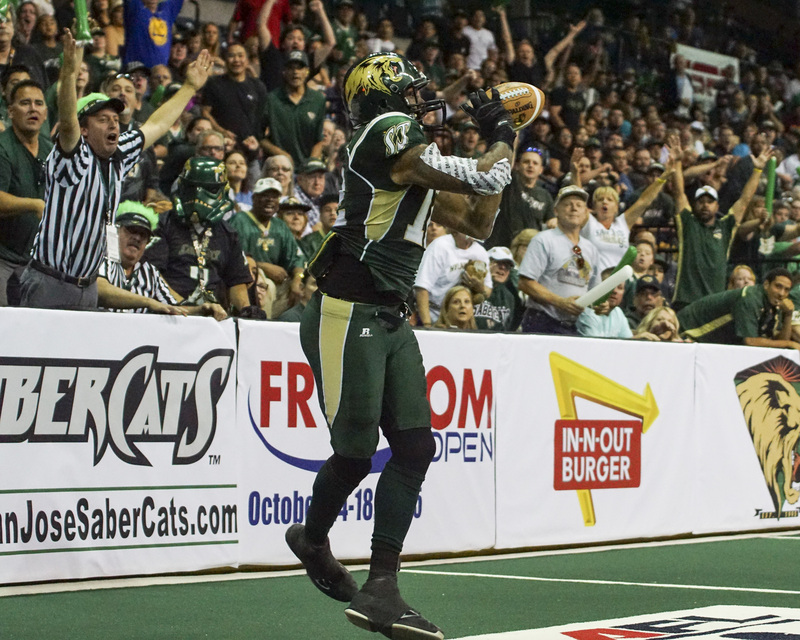 Ranglin grabbed two touchdown receptions fourth quarter; while Meyer threw for 351 yards and nine touchdowns to five different receivers.Against his former team, Maurice Purify led all SaberCats with nine receptions for 150 yards, adding a 24-yard touchdown in the first quarter. 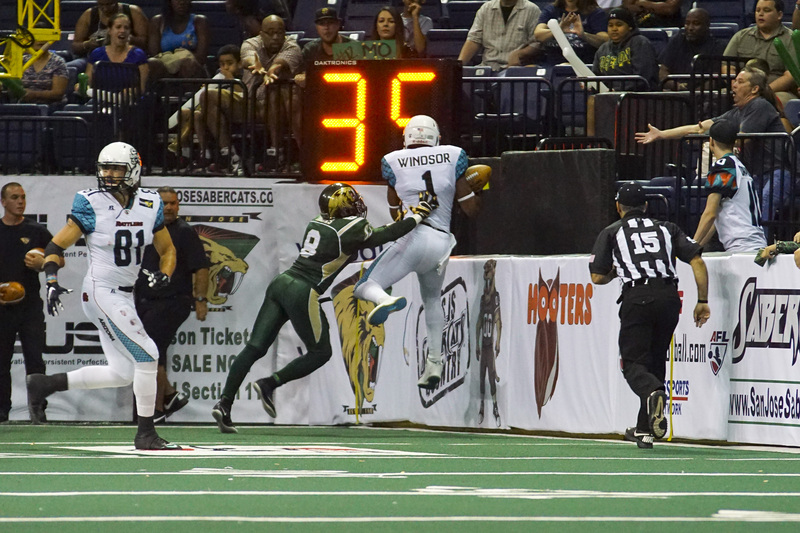 Leading the Rattlers with 39 touchdowns receptions in the regular season, Windsor hauled in four touchdowns in the first half, finishing with eight receptions for 104 yards and four touchdowns. 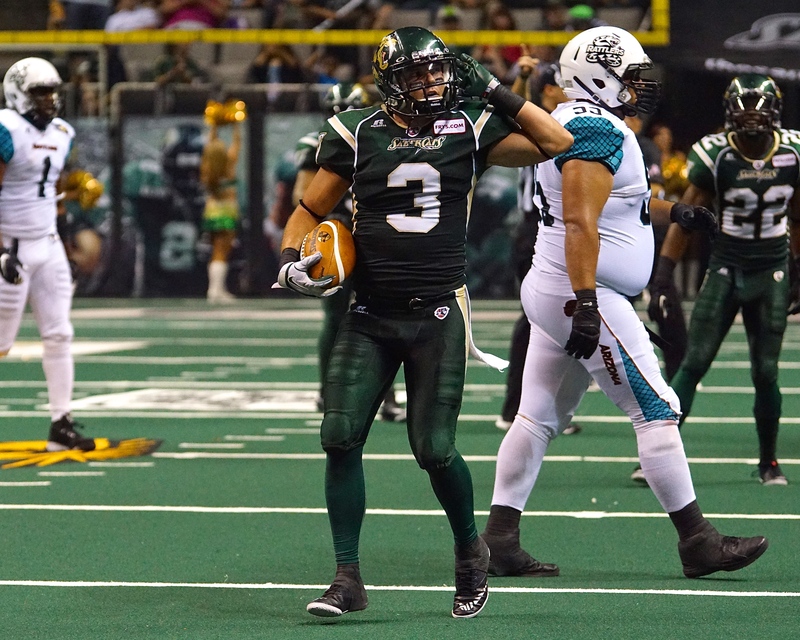 Opening the second half, San Jose took its first lead of the game at 41-35, when Reynolds added a 41-yard touchdown as he broke a tackle, got a block downfield and pulled away for the score. 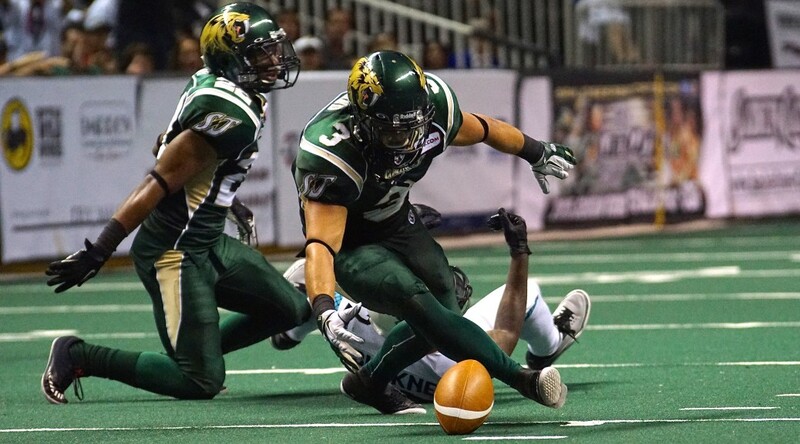 The SaberCats would miss the ensuing PAT. 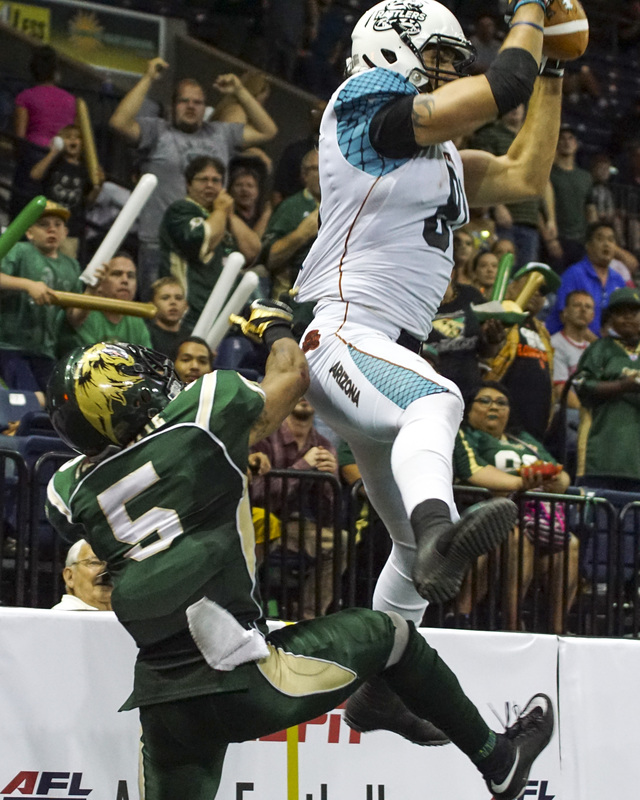 The Rattlers equalized with a fourth down touchdown reception by Chase Deadder, his first of the game. 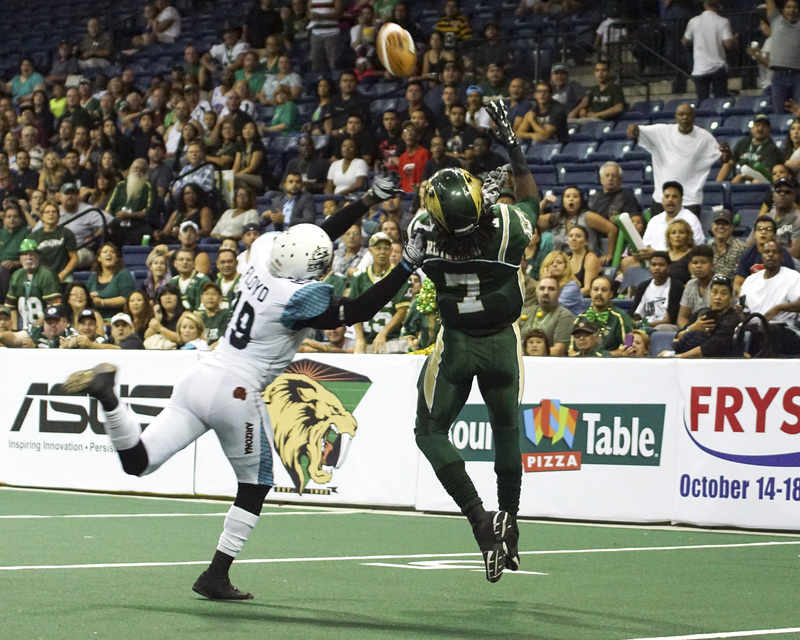 On the PAT, Donte Paige-Moss blocked Alex Zendejas kick, keeping the score even at 41-41. 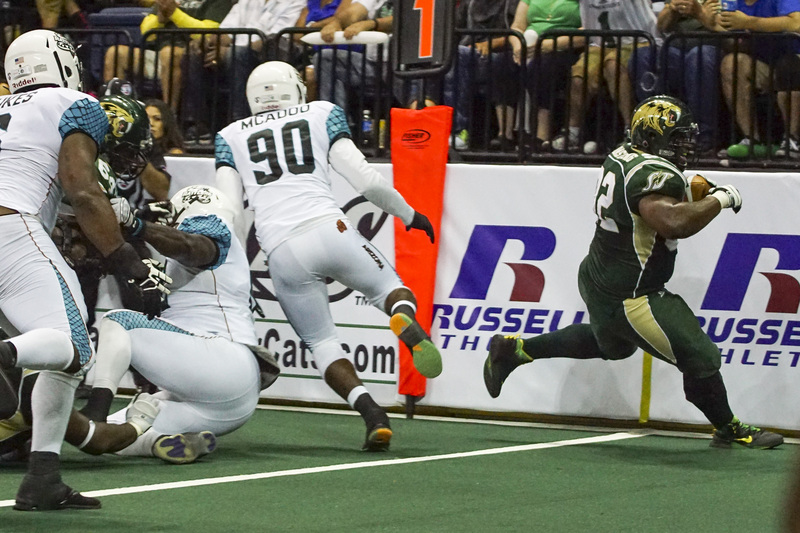 After trading touchdown drives in the beginning of the fourth quarter, the SaberCats number one ranked scoring defense forced a fourth down turnover with 8:30 remaining in the game. 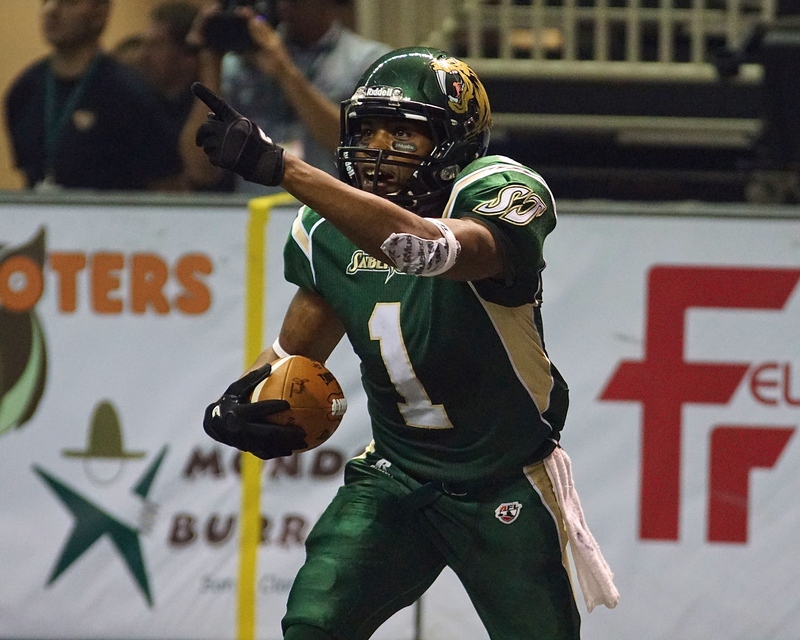 Taking over on offense, The SaberCats would be stopped with an interception by Arkieth Brown, leading to a 20-yard touchdown pass from Davila to Deadder, giving Arizona a 54-48 lead after a missed PAT. 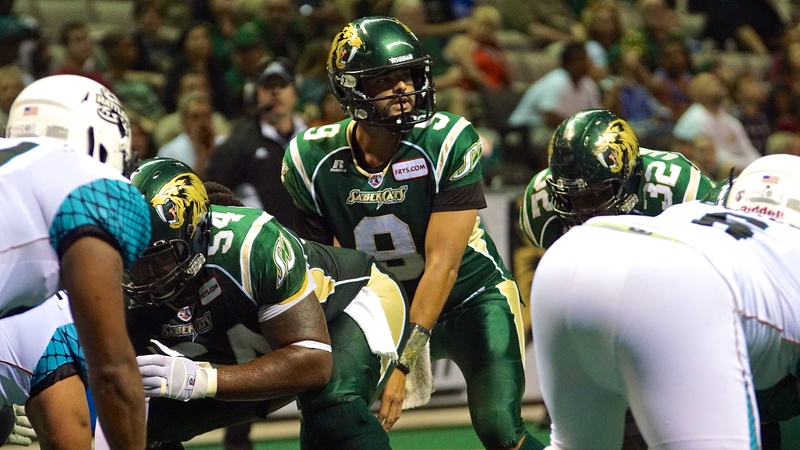 Davila completed 22-of-37 passes for 260 yards and eight touchdowns. 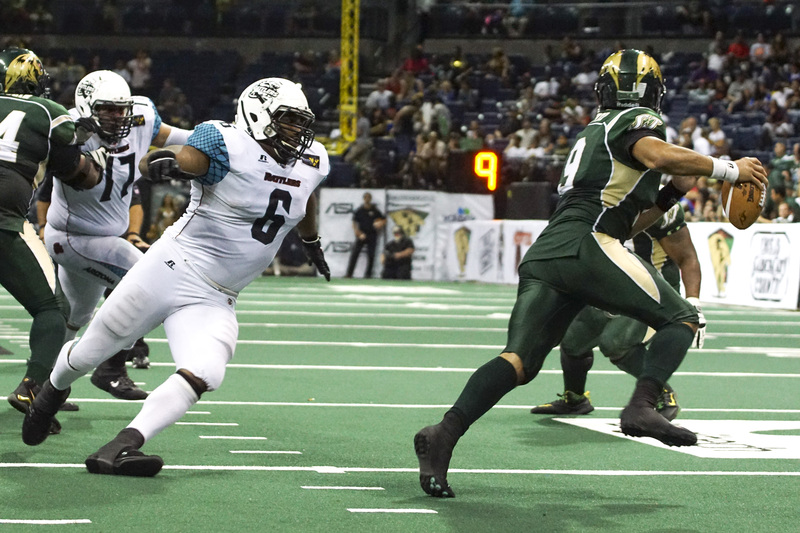 The SaberCats will host the winner of the American Conference Championship between the Jacksonville Sharks and Philadelphia Soul in Arena Bowl XXVIII on Saturday, August 29th at 4pm PDT on ESPN and 1220AM KDOW.